Shown in Oak on an elegant pedestal, our Amish River Shore Pedestal Drop Leaf Table is perfect for a small space in need of seating for up to six. Made from solid domestic hardwoods, the River Shore Pedestal Drop Leaf Table would be perfect in your kitchen for early breakfasts or for afternoon tea. With the two 10" drop leaves in place, this rounded corner table measures 36" x 44". 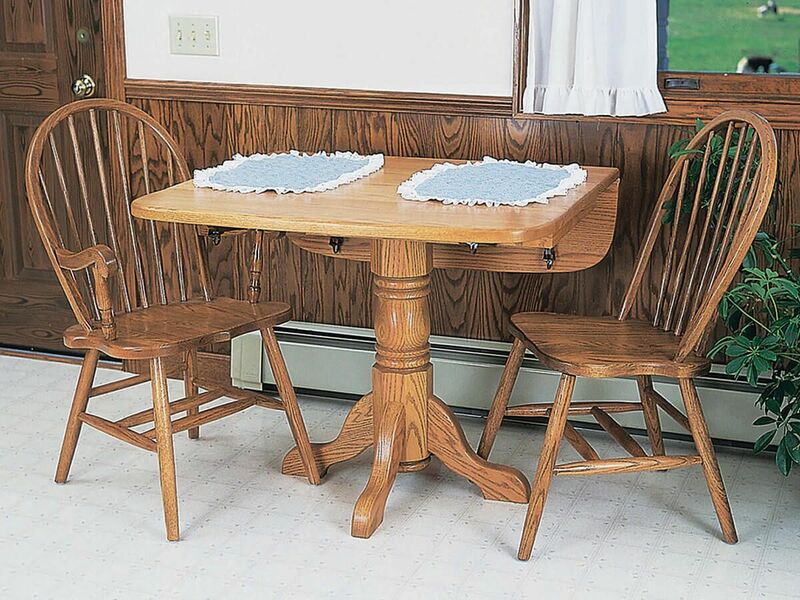 Our River Shore Pedestal Drop Leaf Table is handcrafted from solid hardwoods by the Amish who take great pride in producing fine furniture that will last you a lifetime. If you prefer the traditional look as shown, consider Oak with a Summer Sun wood finish.